The list of the most-viewed episodes of 2016 has been unveiled and The Great British Bake Off took up a whopping nine spots out of the top ten. 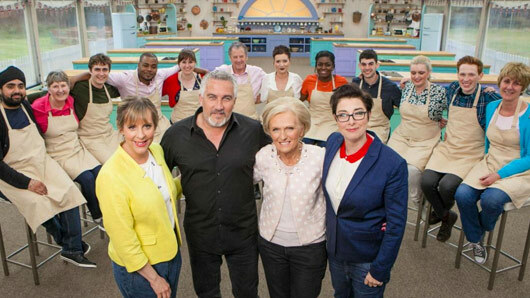 It may be the end of the BBC series but Paul Hollywood, Mary Berry, Sue Perkins and Mel Giedroyc sure went out with a bang this year. The Great British Bake Off completely dominated with their viewing figures in 2016 taking up all but one spot on the top ten list. Now, that is an awful lot of Bake Off viewing. With only one episode of Planet Earth II preventing the show from getting a full house, Bake Off was by far the most popular television series this year. The final of the competition won the top spot, with a massive 15.9 million people tuning in to watch Candice Brown be crowned champion. All in all, it was an utter triumph for the BBC this year who were able to keep out rival broadcaster ITV from taking up any of the top ten spots. ITV’s highest-placed show was the premiere of I’m A Celebrity…Get Me Out Of Here! which placed at number 12 with 12.66 million views. And you won’t be surprised to hear that the ITV show nabbed 12th place behind yet another episode of The Great British Bake Off. The ITV channel had reasonable success with other shows such as Britain’s Got Talent, whose highest-placed episode received an audience of 12.46 million. However, ITV’s big Saturday night showing of the X Factor didn’t even make the top 40. Strictly Come Dancing’s final is not yet on the list, as viewing figures for the programme have still not been finalised, so this could obviously be a bit of a game changer. Still, congratulations to The Great British Bake Off on a truly victorious year! The Great Christmas British Bake Off airs on Christmas Day at 4:45pm on BBC One.